Defender Danny Higginbotham insists he did not have any qualms about joining Ipswich on loan despite their unimpressive start to the season. The 33-year-old recently moved to the Suffolk club from Stoke for a month. "I had a similar situation last season. I went to (Nottingham) Forest and I think they were four or five points adrift at the time. "I believe the squad here are capable of doing much greater things," he told BBC Radio Suffolk. 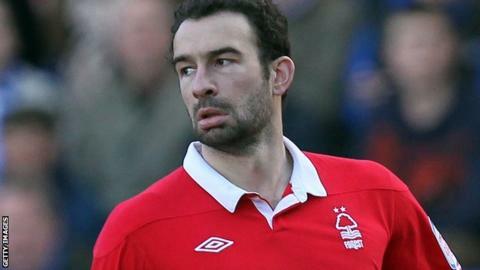 Higginbotham, who made a brief Ipswich debut as a last-minute substitute in last weekend's defeat by Charlton, spoke to Stoke team-mates Jon Walters and Danny Collins before agreeing the move. Both had previously played for Ipswich and spoke "very highly of the club". Regarding Ipswich's current plight, Higginbotham said: "I think it's important in the situation that the club's in at the moment near the wrong end of the table that we don't get down about it. "The players that are here, from what I've seen so far, are very good and there's every potential and every chance of getting out of it." Higginbotham, who began his career at Manchester United and has also played for Derby and Southampton, will be out of contract at the end of the season and does not expect Stoke to offer him a new deal. He therefore sees his spell at Portman Road as a chance to put himself in the shop window for next season. "I honestly believe my time there has come to an end now, which I have no hard feelings about. "I'm sure, come the end of the season, that will be me done at Stoke - I'm not a fantasist that likes to make things up and believe there's something there when there's not. "It's all about me going out and playing football now and showing I can still play the game and hopefully get something sorted come the end of the season."